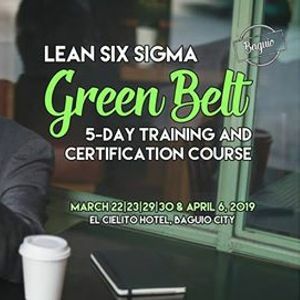 Speed Up to the Next Level and Be a Lean Six Sigma Green Belt Practitioner in Baguio City this coming March 22|23|29|30 & April 6, 2019! ???? ?✅ Register now and get exclusive offers! Our 10% Early Bird Discount is up until February 22, 2019. 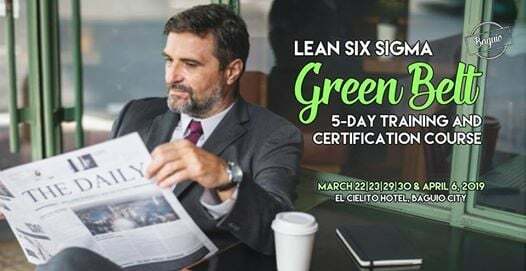 The Lean Six Sigma Green Belt Training strives to develop professional who have the skills to contribute to process improvement projects. These individuals operate under the watchful eye of the project team leader who is normally a LSS Black Belt or senior process improvement practitioner. Like the Lean Six Sigma Yellow Belt Training, the course is completely participative, incorporating discussions, classroom instruction, and workshop exercises. You may register at https://bit.ly/2Qnx8B0 or visit https://bit.ly/2dwVtD5 for more info. For faster assistance, make sure to send us a message and type LSSGB Baguio + your email address, and we'll send you the details of this training.